This one is from Janet (better known as Fishy Robb) over at her blog called Teacher Times Two. Just click on the picture above to go to Janet's site to enter to win great Grades K-2 Resources or Grades 3-5 Resources plus more TpT gift cards that are good in all stores! 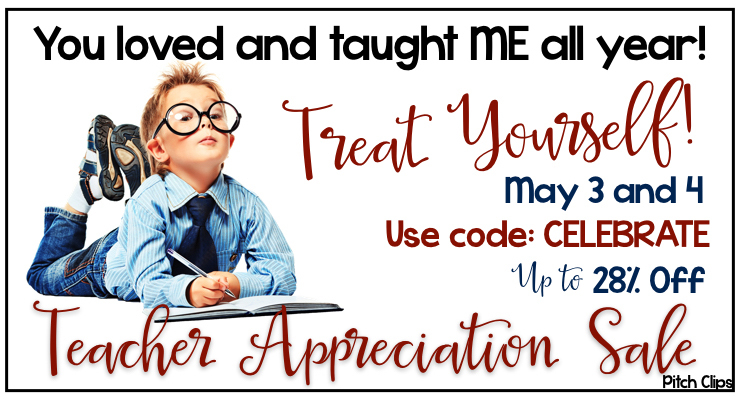 On May 3-4 TpT is having a sitewide Sale! Also, I am having a little GIVEAWAY! You can win one of two $10 TpT Gift Cards. They are good to use in any store on TpT. It's real easy to win! All you have to do is be the 1st or 2nd person to answer a question about my TpT store. The question is: How many products do I have in my store? You don't have to count them. The number is posted right on the main page of my store. Then come back here! Just leave your name and the number of products in the comments section of this blog on this blogpost!